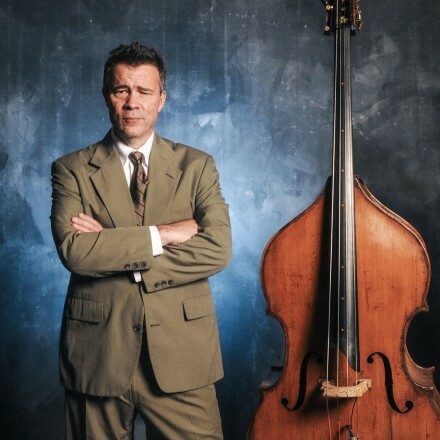 This April, Edgar Meyer makes his way to the 2019 Musica Viva Festival in Sydney, Australia. On April 25, Edgar performs Bach’s first cello suite for the festival opening. He presents a masterclass on April 26 and joins forces with the Dover Quartet to perform his own Quintet for String Quartet and Double Bass on April 27. Edgar explores more Bach on April 28 as he takes the stage for a trio sonata with Tessa Lark and Camden Shaw from the Dover Quartet. Tessa also joins him to perform selections from his Duo for Violin and Double Bass. Edgar joins chamber music collaborators in the April 28 festival finale for Bruch’s String Octet. All events are held at the Sydney Conservatorium of Music.